AKA is an award-winning rapper from South Africa, whose career spans over thirteen years. Known for his bad boy persona and controversial statements, AKA has managed to ruffle a few feathers in his professional and private life, but apart from all the drama he's faced, AKA is undoubtedly one of South Africa's most successful musicians. AKA was born on 28 January, 1988, in Cape Town, which is in South Africa's Western Province. AKA, whose real name is Kiernan Jarryd Forbes, is in his 30s and has a brother that is five years younger than him. Before moving to Johannesburg, AKA lived with his grandmother in Mitchell's Plain, and later moved with his mother, Lynn Forbes, to Johannesburg back in 1995. During his early childhood in Cape Town, AKA attended the Holy Cross Convent. By the time he lived in Johannesburg, the rapper had attended Greenside Primary School. His teenage years were then spent attending St. John's College, where he formed a Hip Hop group named Entity, alongside his group members Vice Versa & Greyhound. Entity rose to success in the mid-2000s with hit songs like Touch & Go and First Gear. However, by the year 2006, the group dispersed as each group member expressed different visions for their own career paths. Whilst the other two members decided to further their studies at tertiary level, AKA took a leap of faith and continued his career as a solo rap artist. In 2009, the brand AKA began taking off as he released hit singles such as Problems, In My Walk and Do It. But it was the years 2010-2012 that catapulted the rapper into stardom. After he released his debut album, Altar-Ego, which featured hits such as I Want It All, All I Know and the smash hit that was Victory Lap. Since then, AKA has released two more albums – Levels, which was released in 2014, and his most recent album project to date, Touch My Blood. Levels was certified triple platinum by RISA, while Touch My Blood was recently certified gold. 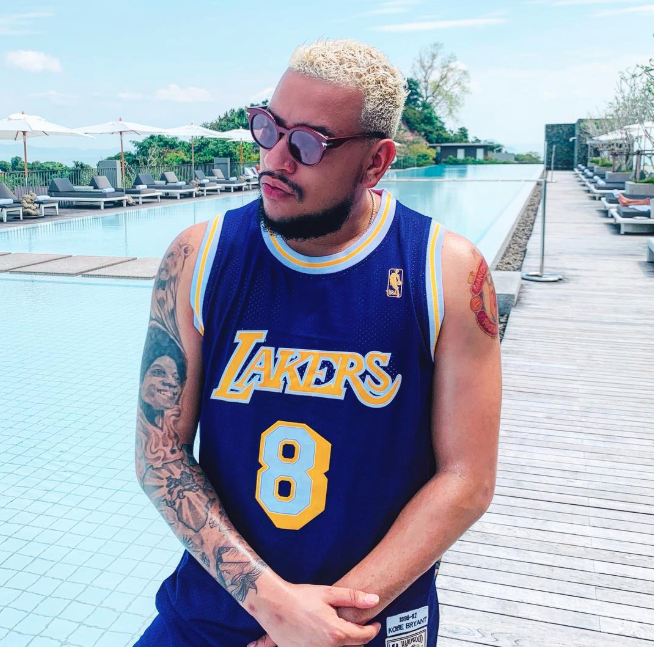 According to a business report that was released in 2017, it was reported that AKA made it onto the top 10 list of the richest music artists in South Africa. Sitting comfortably at number 8 and according to the Net Worth Portal, AKA's net worth is R155,6 million. When it comes to relationships, AKA has had quite a bumpy road. In 2012 he began dating the mother of his child, DJ Zinhle (real name Ntombezinhle Jiyane). By 2015, DJ Zinhle had fallen pregnant with AKA's first child. However, in the same year, Zinhle announced in her own personal blog that AKA had admitted to cheating on her with media personality, Bonang Matheba, while she was pregnant. Zinhle revealed that AKA had come clean after cheating rumours about him having an affair with Bonang ran amok. Bonang had initially denied that she was cheating with AKA and threatened to sue Zinhle for defamation of character. DJ Zinhle never apologised. In late 2016, AKA and Bonang eventually went public with their relationship and gradually began posting pictures of each other on their Instagram accounts, as an official statement that they were indeed together. The exes dated for two years and during that time, Bonang featured on AKA's video for his single,The World Is Yours. The couple continued to receive a lot of attention from the media. In 2016, they won the Favourite Couple Award at the YouSpec Awards. They also graced the cover of various magazines as a couple. However, their love story was short-lived; in late 2017, when AKA confirmed in a tweeted that they had both gone their separate ways. After his break up with Bonang, in 2018, AKA was rumored to have briefly dated model and socialite, Nicole Nyaba, whom he once mentioned in his song One Time. In an interview on Drum magazine, Nicole confirmed that they were romantically involved for a short period, and that she had actually lived at his home while they were dating. She further mentioned that their relationship ended because of DJ Zinhle. Nicole revealed that they broke up because AKA had admitted that he had gone back to Zinhle. In early 2019, Zinhle and AKA made headlines again after the two jetted off to an undisclosed vacation destination together. Although they are yet to confirm if they've rekindled their relationship, sources close to both entertainers believe that they are indeed an item again. AKA's daughte, Kairo Owethu Forbes, was born in July 2015. Although Kairo lives with her mother, DJ Zinhle, she has a close relationship with AKA. Both of her parents have a mutual co-parenting arrangement. For Kairo's 3rd birthday, both parents arranged and hosted a birthday party for her. This was the first time in a long while that DJ Zinhle and AKA had been seen together in one room, and all smiles after experiencing a strenuous co-parenting relationship that lasted for two years.